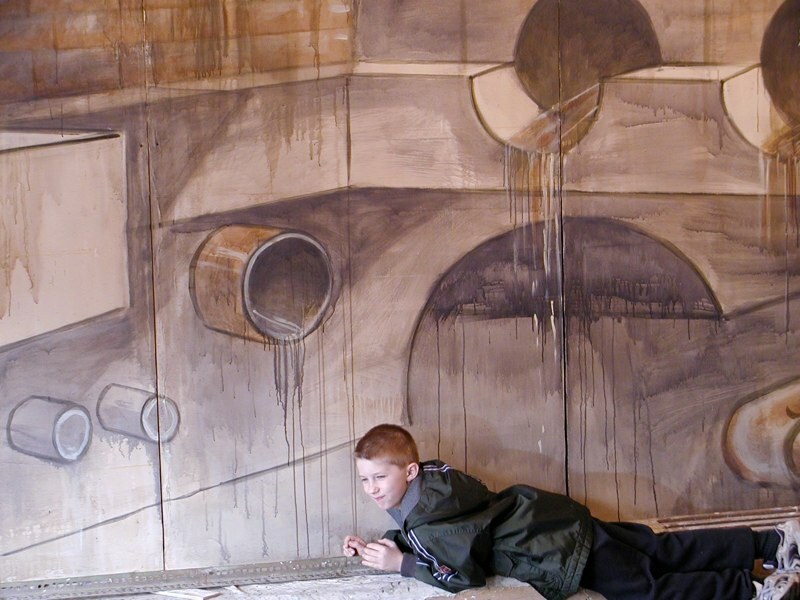 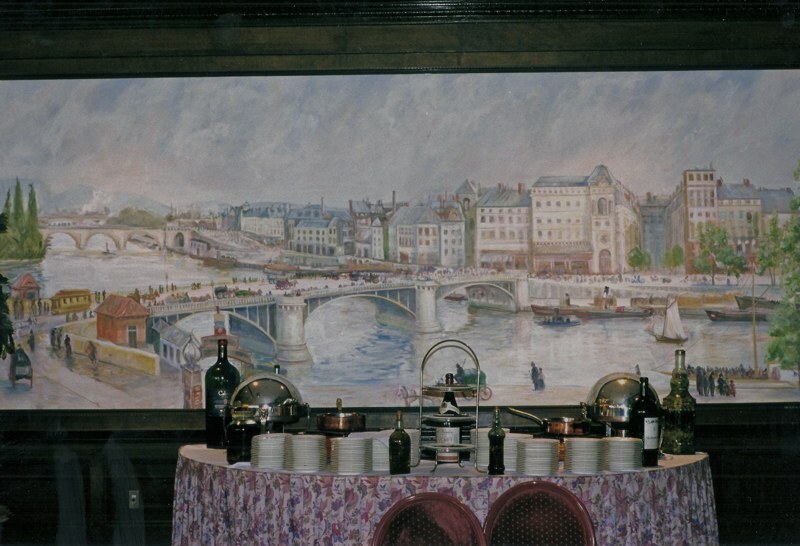 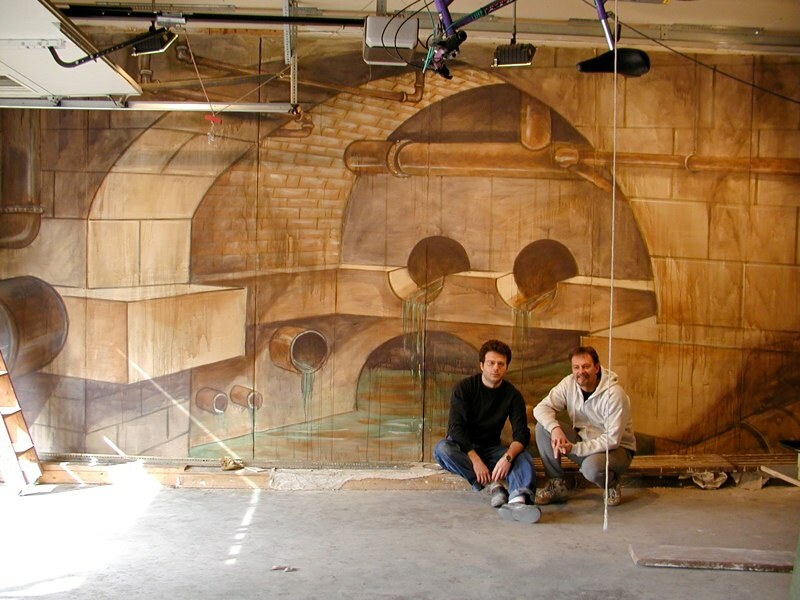 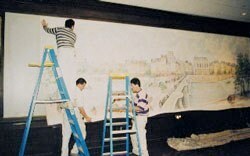 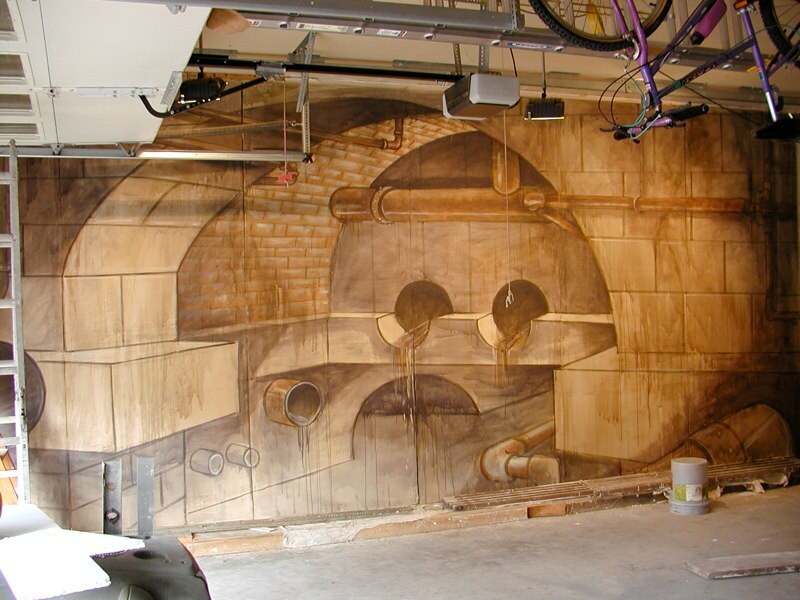 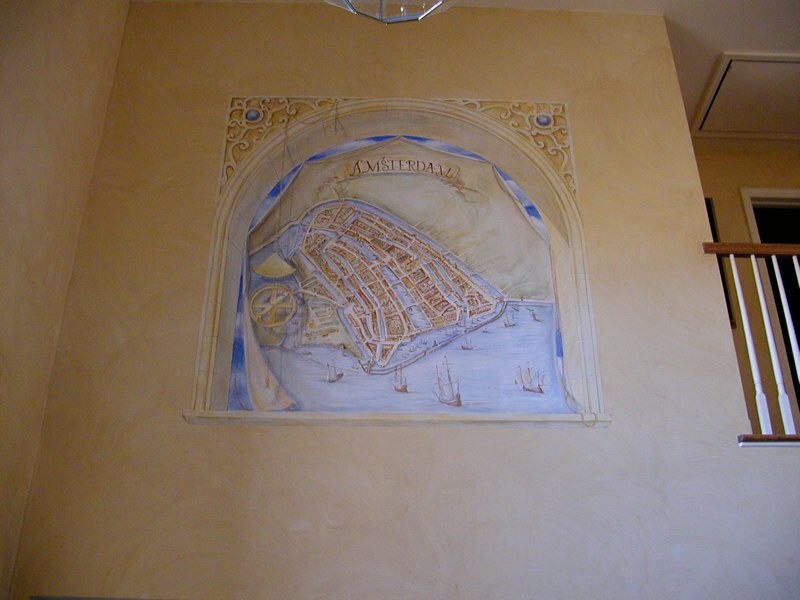 There is a long tradition of painting murals on canvas. 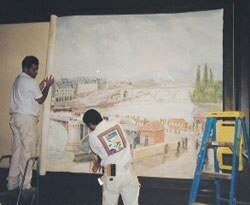 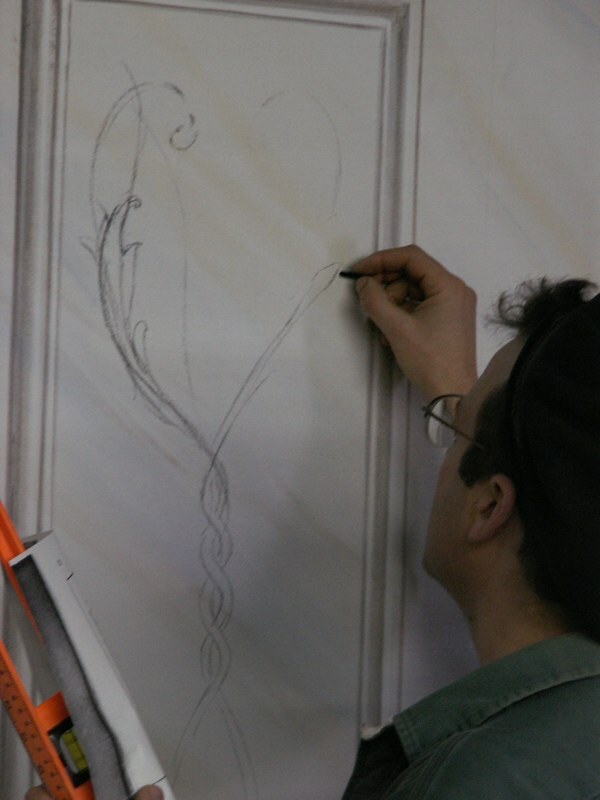 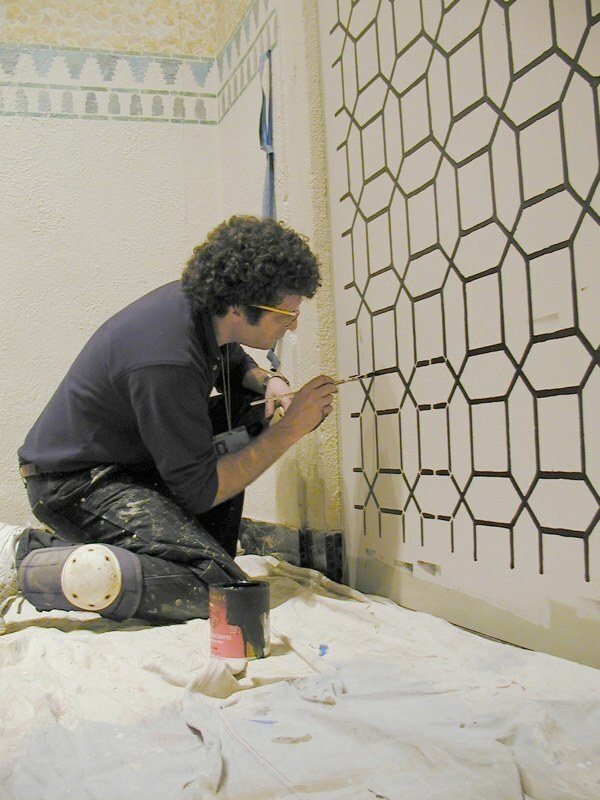 Since baroque times, murals have been completed in the artists' studio, then applied to the wall surface. 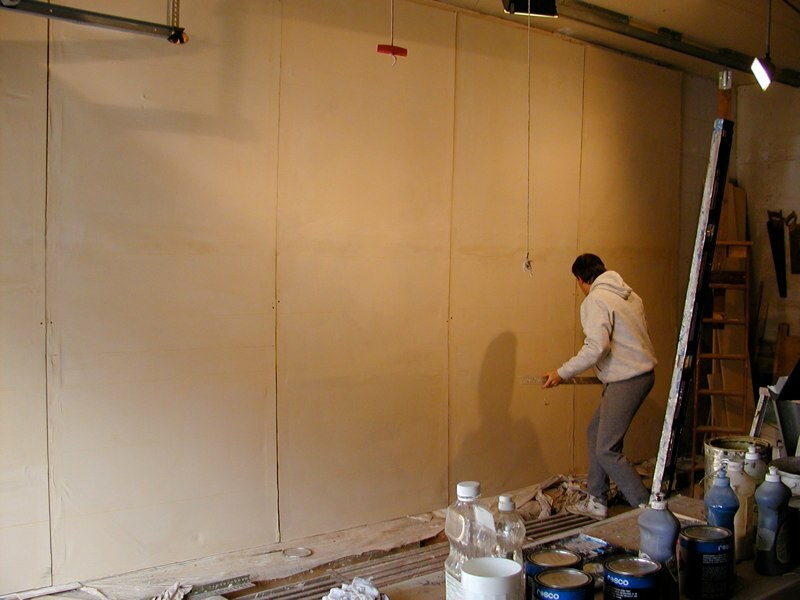 There are several advantages to this method. 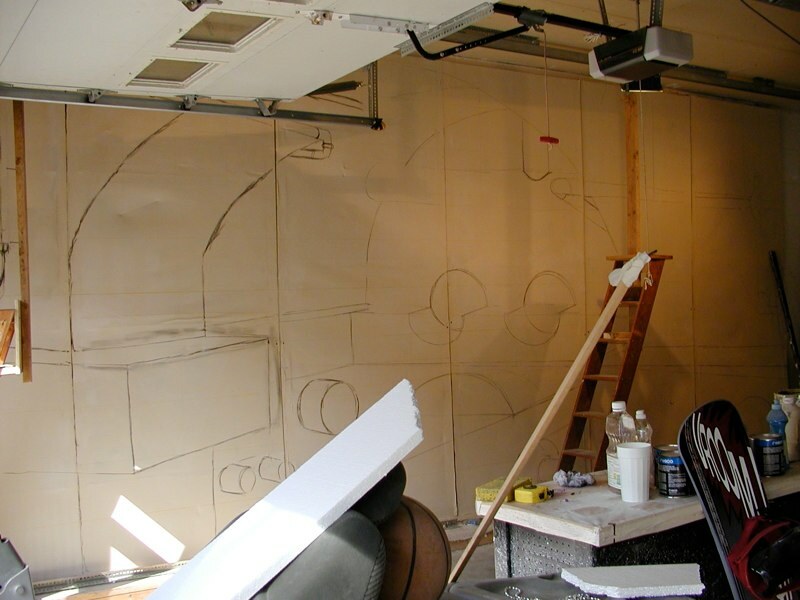 First, superior quality as the artist has more mobility to better render details, and the canvas surface itself is far more appealing than that of sheet rock. 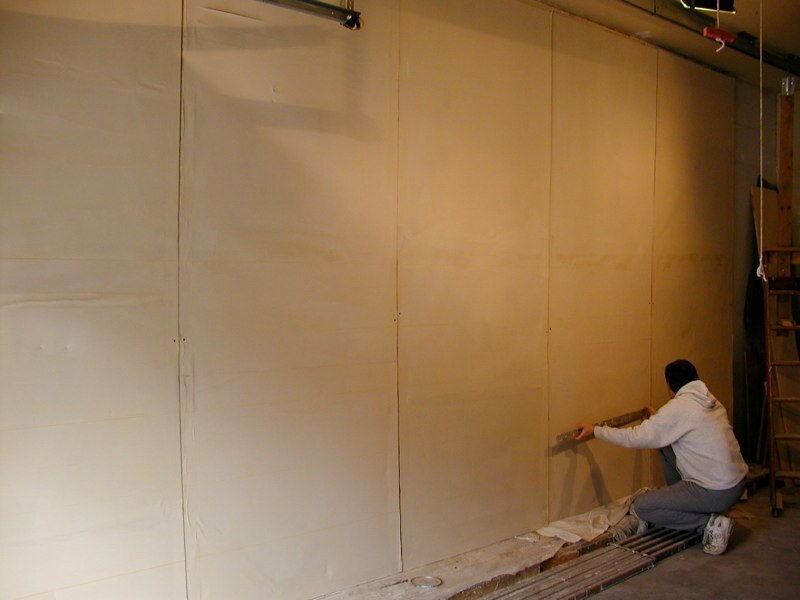 Second, installation is quick, so the client has little inconvenience, which saves money as well for restaurants and businesses on tight deadlines. 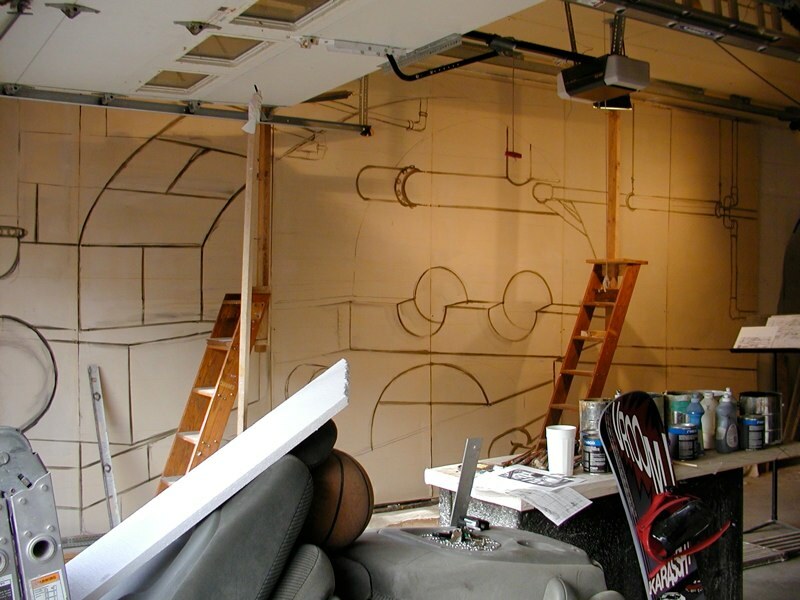 Murals can be completed ahead of construction to speed up opening day. 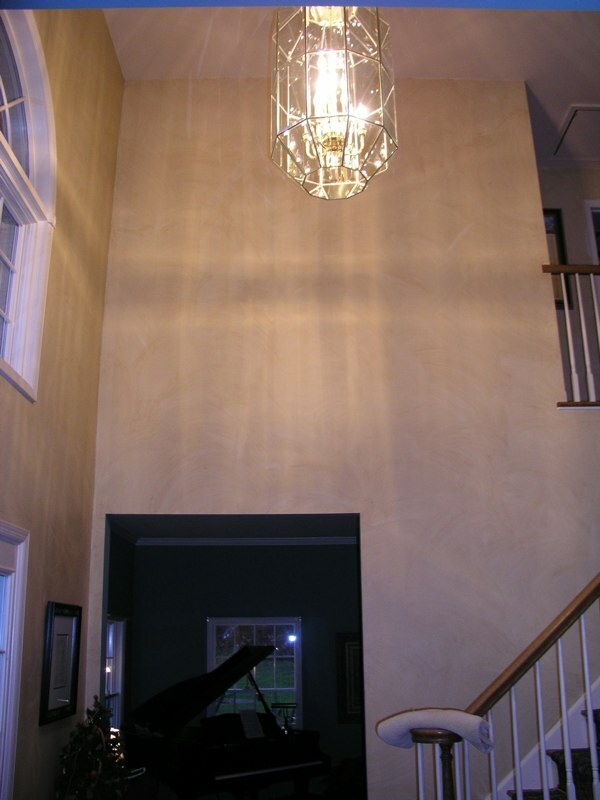 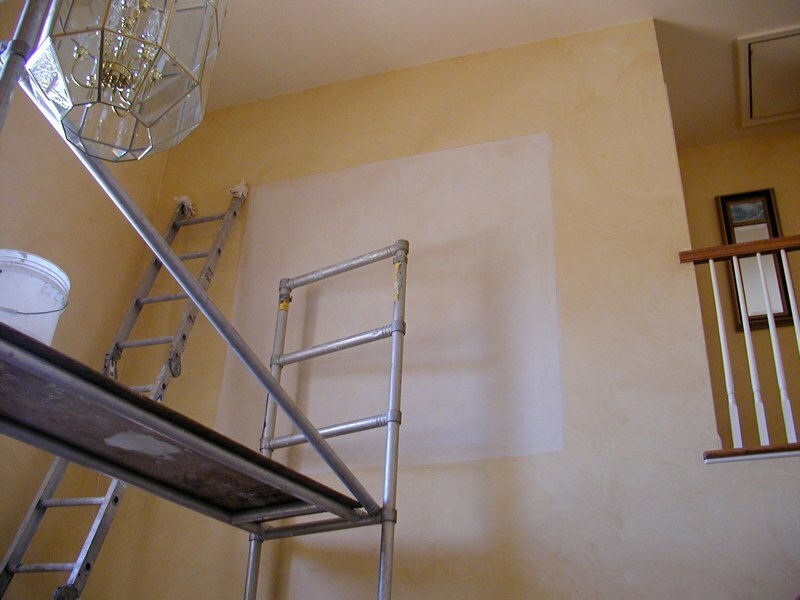 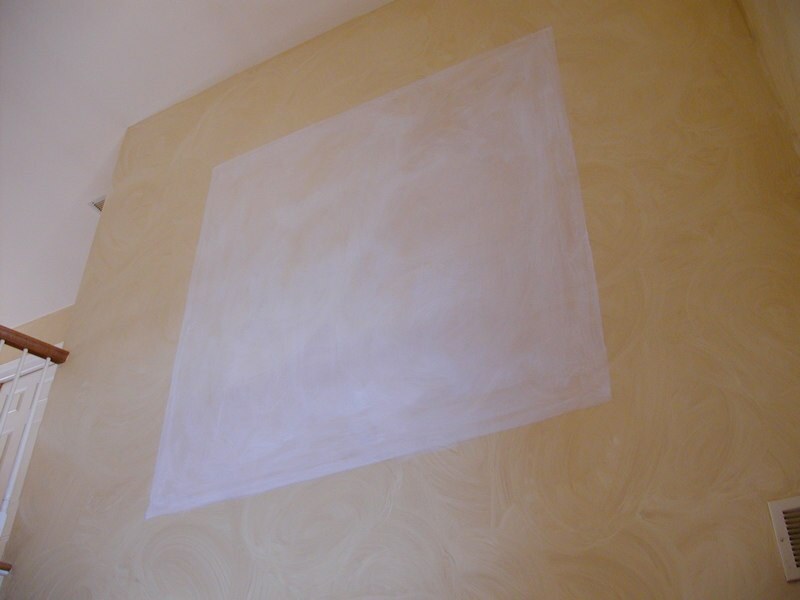 Lastly, the canvas is removable, so customers can take their investment with them when relocating or in cases of property damage or renovation. 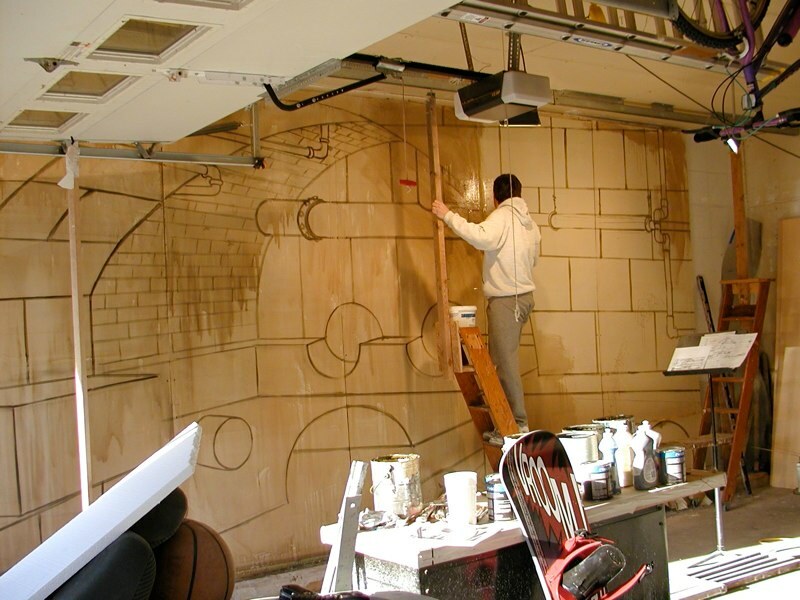 To the right are photos of me working at the Newark Museum, painting the local production of “Guys & Dolls”, and installations of two murals, the first at a residence in NJ, the second at the Birchwood Manor in Parsippany, NJ.